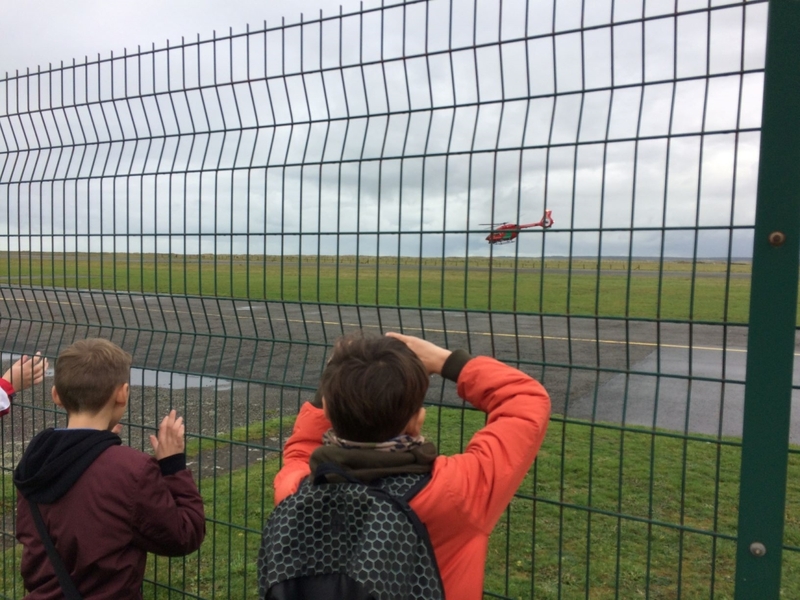 Pupils from Ysgol Rhosneigr were the first group of students on a Blue Skies Inspired Package to visit the base of Wales Air Ambulance at Caernarfon airport. 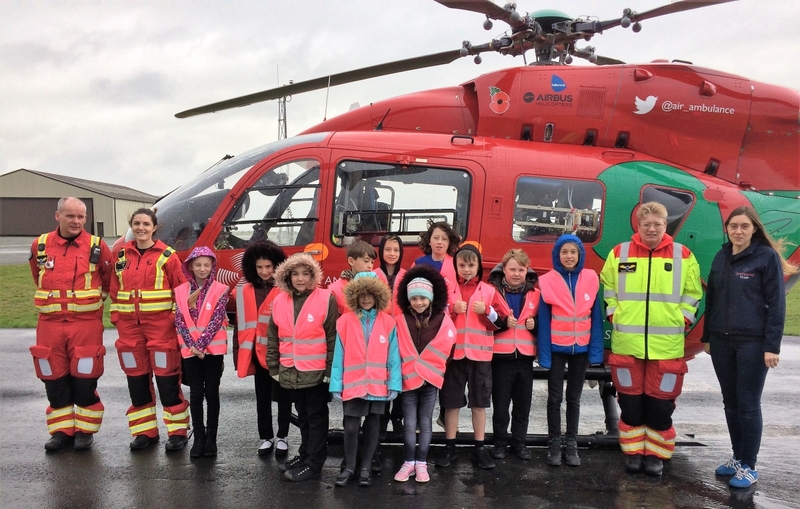 On arrival, all pupils were asked to wear a high visibility jacket and were then immediately taken to see an operational air ambulance just in case the crew were called away. 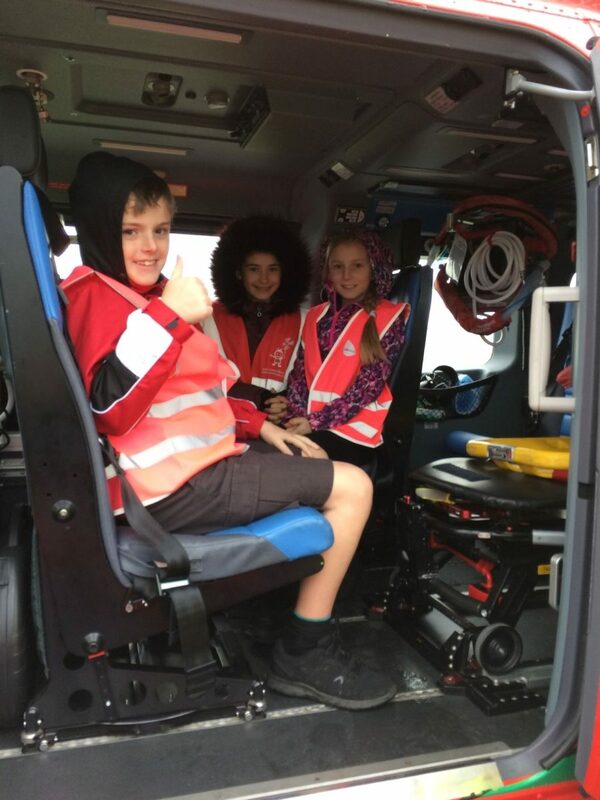 Each pupil had the opportunity to sit inside the helicopter and ask questions to the paramedics and doctor who were on shift. The Air Ambulance staff told some interesting stories and highlighted the need to work together as a crew and with other emergency services. After their visit to the Air Ambulance, the pupils went over to the Air world Museum based next door. Just as the pupils were finishing their visit around the museum, they heard the air ambulance start up. The group quickly went outside and waved the crew away as they responded to an emergency.